LA Photo: L.A.P.D. 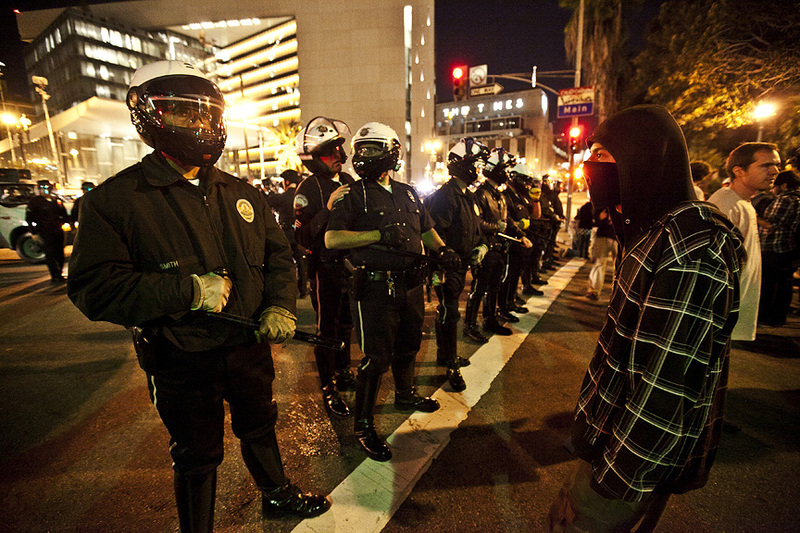 Raids Occupy L.A. 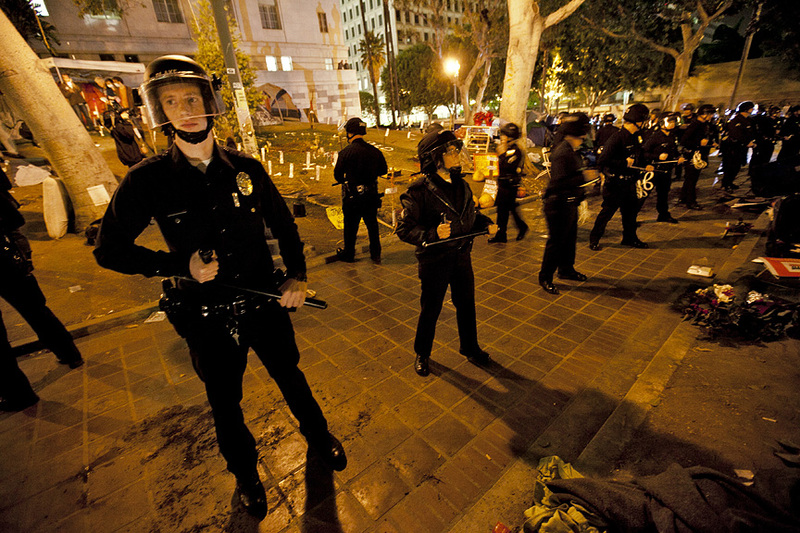 The camp at Occupy L.A. located at L.A. city hall was raided by several hundred L.A.P.D. officers. 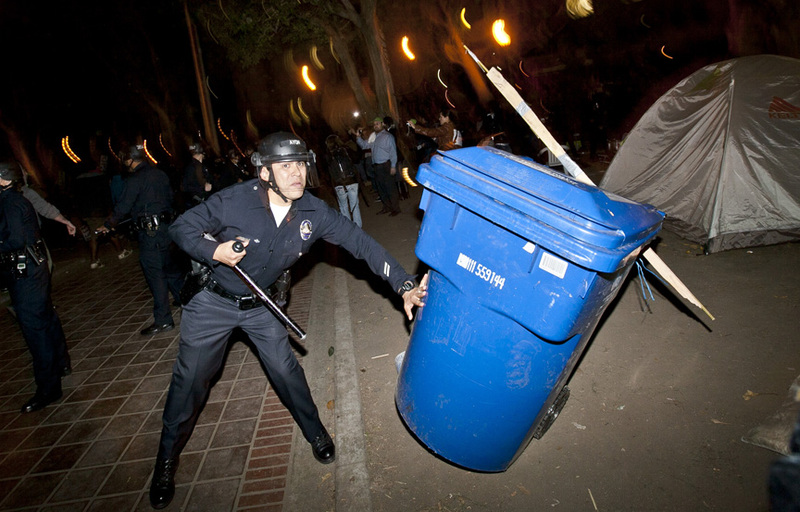 The officers entered the part with lightning speed, carving up the park with lines of officers in riot gear. 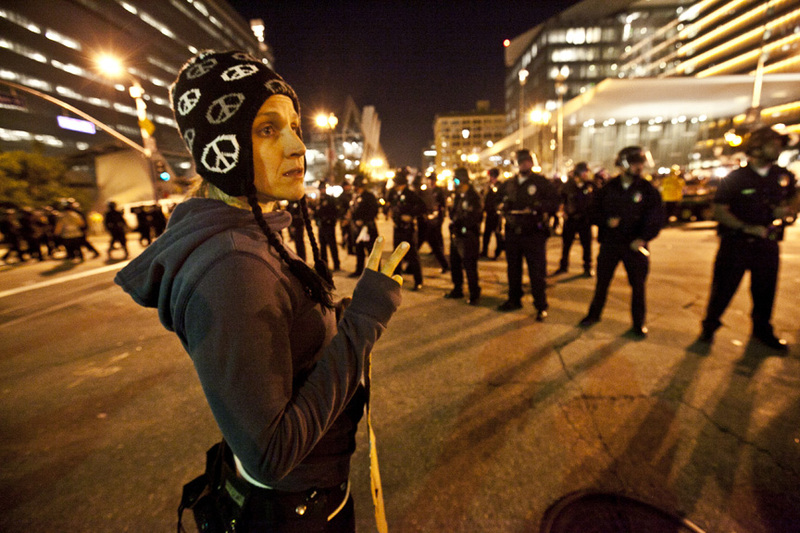 I didn't see any incidents between the officers and demonstrators, and very few have been reported so far. Journalist were allowed to report and photograph inside the park for about 20 minutes during the raid, then the pool took over coverage for the arrest and park clean up. 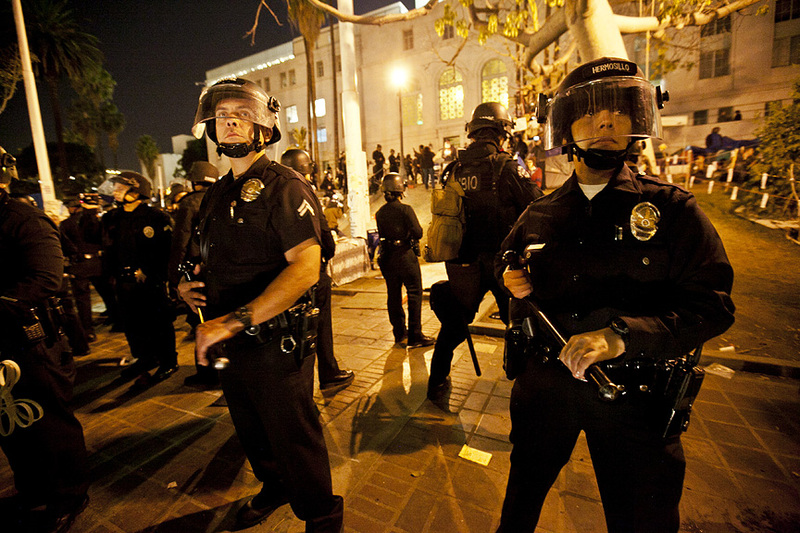 The L.A.P.D eventually took over the streets around city hall, forcing any lingering protesters out of the area. As the protesters left the area, they chanted and clapped in unison. I heard one officer clap along with them. LAPD officers inside the park. LAPD officers looking at the trees in the park for protesters. 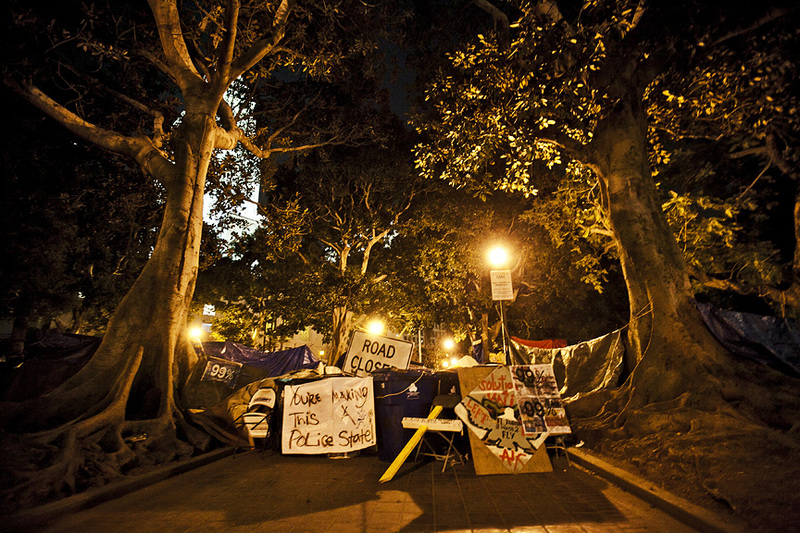 A barrier was set up at the park entrance. LAPD motor officers on 1st street. 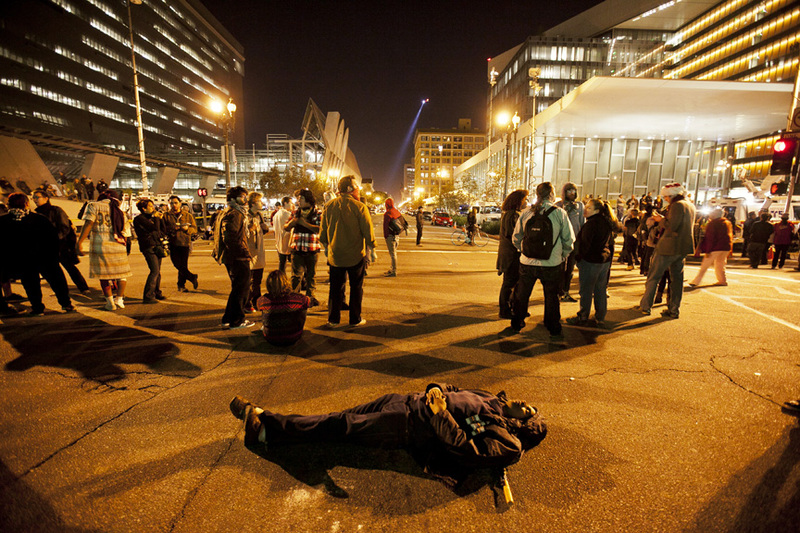 A demonstrator sleeping on 1st street. 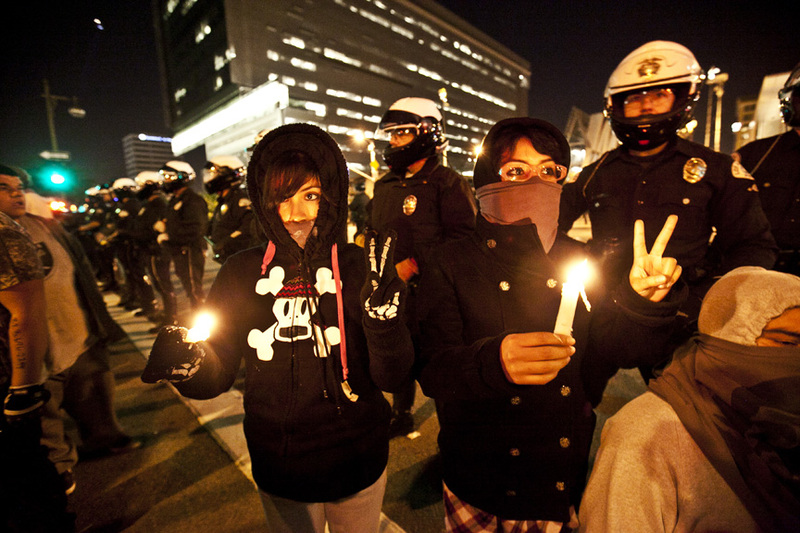 Protesters holding a candle light vigil during the raid. Labels: City Hall, Floyd Landis, LAPD, Occupy L.A.